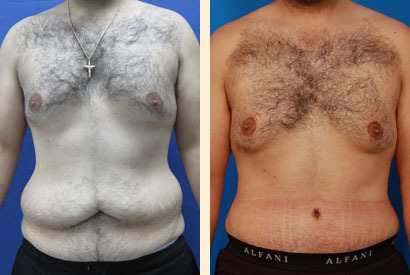 This patient underwent full lipoabdominoplasty. Note the dramatic improvement in waist definition. The first step in face or body enhancement is to meet with us in a private consultation. Our array of surgical and non-surgical treatments can help you create the look you envision – at last. Hoefflin Plastic Surgery in Beverly Hills specializes in FACIAL, BODY and breast augmentation procedures.